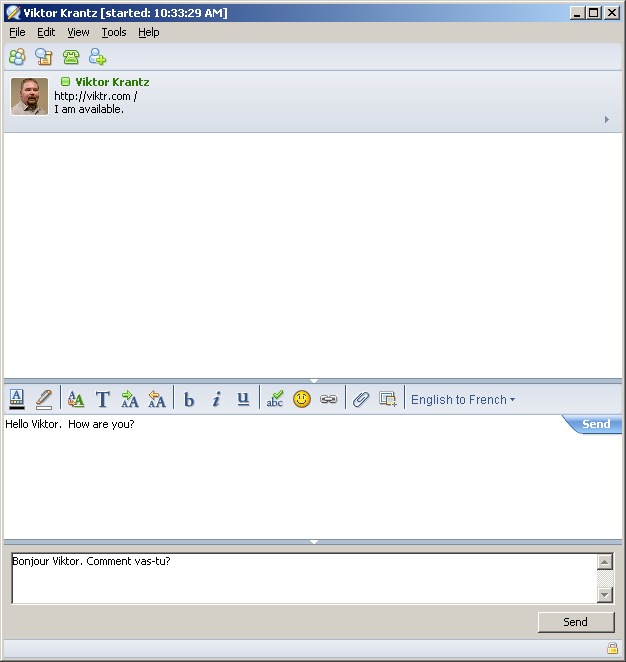 Free Translation Plug-in for IBM Sametime - Send translated text to your colleagues using IBM Sametime. 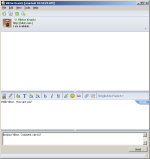 Do you Instant Message colleagues in different countries? Do they speak a different language? 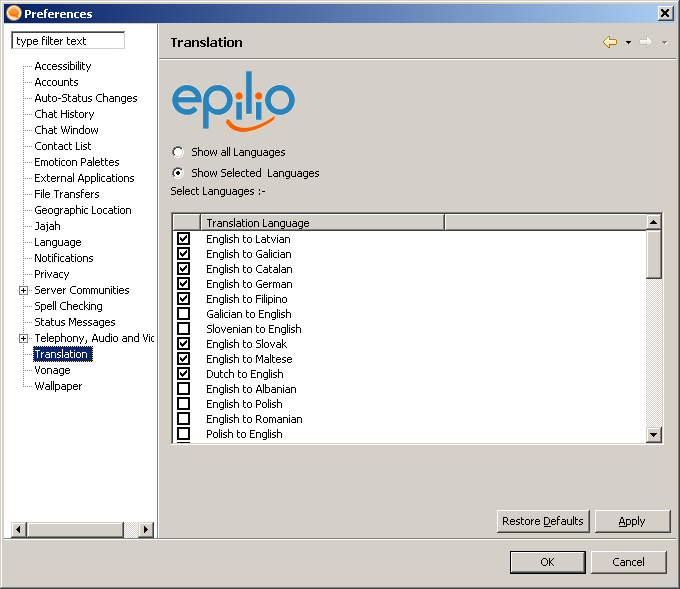 While the Epilio Translation Plug-in can't help you translate management speak into English, it can help you translate many other language pairs. 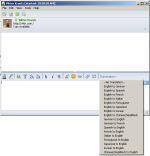 The Epilio Translator for IBM Sametime integrates tightly into your Sametime Connect client, giving you the ability to chat with other users in their native language. 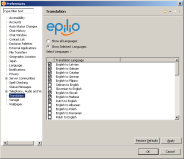 The Epilio Translator plug-in requires Sametime 8.0.1 or later and an active connection to the internet. Once you've installed the plug-in, select File, Preferences, Translation and select the language pairs you wish to use. 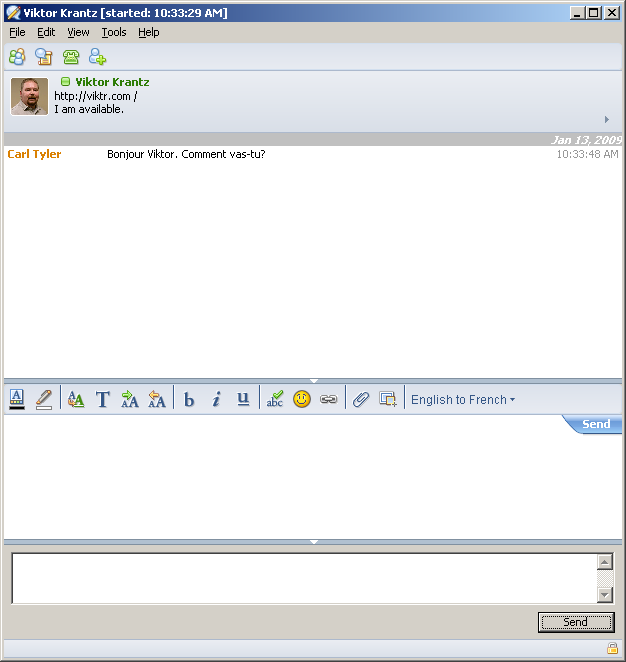 Now when you have a chat with another Sametime user you'll see the translation drop down button on the toolbar. Select the language you want to use and type away! To send the translated text, press the send button next to the translated text. 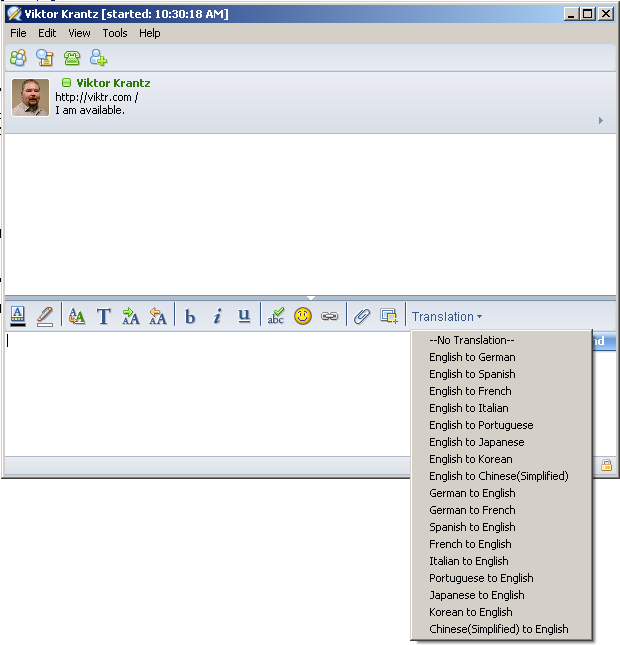 The translation plug-in uses the Microsoft Bing Translation Server, the plug-in does not work with proxies and requires an active internet connection. If you're looking for a secure, supported on-premises solution, please visit our partner LinguaSys and take a look at their TGChat Product.